Hover on a category below to see the statewide reach of the University of Missouri System. Throughout its history, the University of Missouri System has been the state's partner in the education of Missouri's citizens and the growth of its economy. The University of Missouri was established as the first public university west of the Mississippi River in 1839. Built by proud Missouri citizens determined to leave a legacy for their children and the generations to come, the University of Missouri System grew from the very roots of the state. Today, the University of Missouri System is one of the nation's largest higher education institutions, with more than 75,000 students on four campuses and an Extension program with activities in every county of the state. The university continues to impact Missouri and its citizens in every county, every day. As our flagship campus, the University of Missouri-Columbia was founded in 1839 as the first public university west of the Mississippi River. Founded in 1870 as Missouri School of Mines, Missouri University of Science and Technology in Rolla is one of the nation's top technological research universities. Chartered as the University of Kansas City in 1929, the University of Missouri-Kansas City joined the UM System in 1963. The university is one of few in the nation to have all four major health science schools: medicine, nursing, pharmacy and dentistry, located on one campus. Also founded in 1963, the University of Missouri-St. Louis is the largest university in the St. Louis region and third largest in Missouri. The University of Missouri System has a statewide network of 10 research parks and business incubators, each designed to help faculty, entrepreneurs and businesses collaborate to move innovative research to the marketplace. Because of the university’s research parks and incubators, startups and businesses across Missouri have access to innovative intellectual resources, a high-performance computing center, medical and advanced technology specialized facilities, cutting-edge plant science research, and much more. For details about each park and incubator, visit the Research Park Locations webpage. Missouri Agricultural Experiment Station (AES), sponsored by Mizzou’s College of Agriculture, Food and Natural Resources (CAFNR), conducts research in agriculture, forestry, animal science and natural resources at farms, laboratories and forests throughout the state. Research conducted at AES and CAFNR facilities focuses on using the state's natural resource base, including its people resources, as effectively as possible in an increasingly global society. Citizens throughout the state benefit from new knowledge, discoveries and university expertise through AES. University of Missouri Health has a vast network of hospitals, clinics and outreach services. Additionally, MU Health offers health education paths at all four campuses, including medicine, nursing, pre-medicine, dentistry, pharmacy, psychology and the allied health professions. University of Missouri Health Care is home to the state’s only public academic medical center, which provides care to people from every county in Missouri. In addition to providing access to clinical trials and myriad specialists, each year MU Health Care provides millions of dollars in uncompensated and charity care. The UM System helps to deliver health care throughout Missouri. Some examples include UMSL’s Mobile Eye Center, which provides eye care to thousands of children and adults. Residents in rural Missouri have access to Ellis Fischel Cancer Center’s mobile mammography van, which visits more than a dozen communities quarterly. And in Kansas City—home to the state’s only dental school—underserved children and adults receive dental care through Partnership for Smiles. All of our campuses also facilitate various health screenings, checking health markers such as blood glucose levels and blood pressure. In addition, the UM System is a leader in the adoption of medical technology. The Telehealth Network provides individuals with limited health care access, especially rural residents, with access to MU Health Care’s wealth of specialists. Finally, the Tiger Institute for Health Innovation has become a model of how private businesses and public universities can partner to advance community health. Established in 2009, the Tiger Institute is facilitating a statewide alliance of health care organizations that can improve care through health information technology and collaborative innovations with MU Health physicians, students and researchers. The innovations from this partnership are estimated to provide up to $1 billion in annual economic benefit to the state. Already, MU Health Care has been named one of the nation’s “Most Wired” Hospitals—the only facility in mid-Missouri making the list. The UM System has the resources and expertise to move you forward and help you succeed. 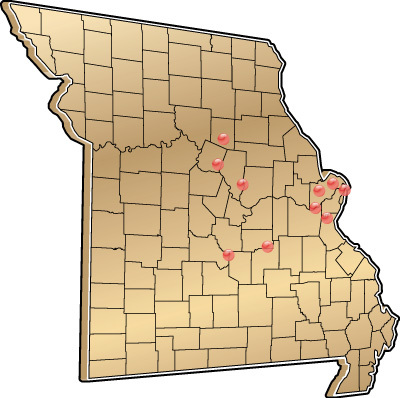 Sponsored by University of Missouri Extension, Missouri Small Business & Technology Development Centers are part of a statewide network of business experts uniquely qualified to help businesses develop and thrive. These centers provide expert business counseling, training and online resources that assist small business with questions about management, human resources, marketing and sales, finance, technology development and commercialization, complying with regulations and saving money by using "green" practices. 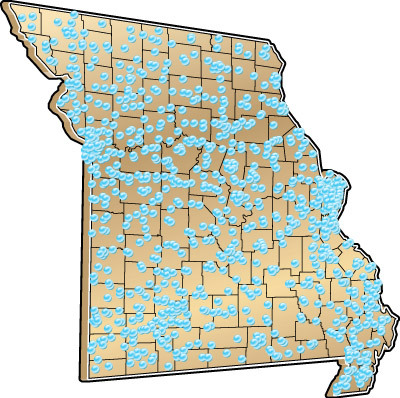 The Missouri Research and Education Network (MOREnet) provides Internet connectivity, access to Internet2, technical support, videoconferencing services, network security and training to nearly 800 Missouri schools, colleges and universities, public libraries, health care organizations, state government, and other affiliated organizations. The comprehensive service includes MOREnet KnowledgeBase, a collection of more than 125,000 technical knowledgebase articles across more than 200 software titles that is available to all member faculty, staff, students and end users. Established in 1991, MOREnet is committed to supporting and enabling its members' missions through the use of technology to enhance opportunities for public access, learning and research. Through the advanced technology of the Missouri Telehealth Network, the expertise of University of Missouri physicians is made available in underserved areas throughout Missouri. Telehealth is a means of delivering medical information and health care through the use of telecommunication technologies. Through videoconferencing, a patient can have a live, real-time interaction with a University of Missouri specialist, almost as if they are in the same room. The physician is able to obtain sufficient examinations of patients by questioning them about their symptoms, and by using electronic diagnostic equipment and other peripheral cameras. The Missouri Telehealth Network began in 1994 as a 10 site network; today, there are over 200 endpoints in 56 Missouri counties. The eMINTS National Center is a collaborative program developed by the University of Missouri-Columbia, Missouri Department of Elementary and Secondary Education, and the Missouri Department of Higher Education. eMINTS stands for “enhancing Missouri’s Instructional Networked Teaching Strategies.” The goal of eMINTS is to change how teachers teach and how learners learn by providing a research-based approach to organizing instruction in any subject area at any level. eMINTS studies the effects of its professional development program for educators and how the program helps rural Missouri middle-school students. In 2010, eMINTS secured a $12 million federal grant. Only 49 school districts, nonprofit education organizations and institutions of higher education nationwide were selected from nearly 1,700 applicants for funding under the federal Investing in Innovation Fund (i3) grant program. The i3 fund, part of the $10 billion investment in school reform in the American Recovery and Reinvestment Act (ARRA), will support local efforts to start or expand research-based innovative programs that help close the achievement gap and improve outcomes for high-need students. In 2015, eMINTS received another $12 million federal grant for its expansion project. More information on i3 is available at www2.ed.gov/programs/innovation/. Every year, more than 2.5 million Missourians turn to University of Missouri Extension to gain practical knowledge, solve problems, adapt to change and make informed decisions. 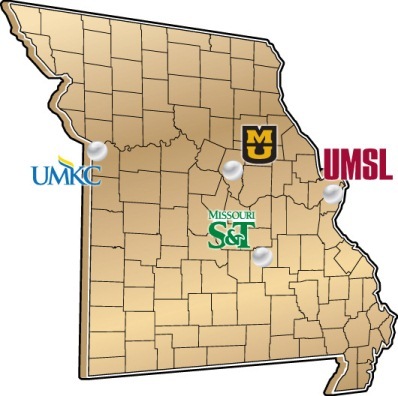 The MU Extension program engages people, organizations and communities by connecting them to the knowledge base of the university, giving them a link to resources to manage issues of local concern and improve their quality of life. 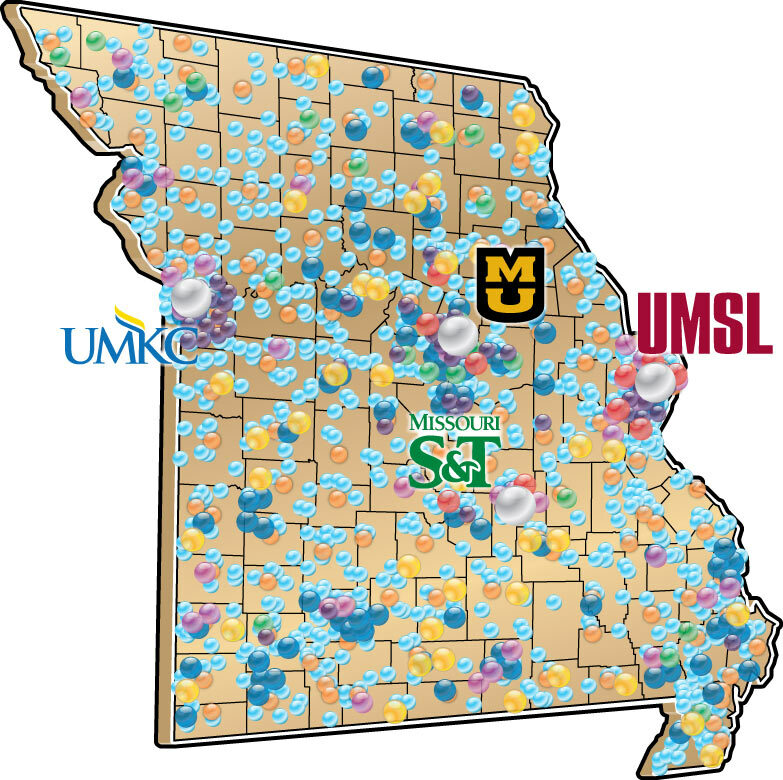 Providing services to every county in the state, MU Extension has the capacity to adapt university programs and resources to very different local needs and aspirations. MU Extension provides relevant, credible and valued education and resources on agriculture, natural resources, business and workforce, community and leadership, 4-H and family development to citizens around the state. The extension program is Missouri's one-stop source for practical education on almost anything. Specialized learning programs include continuing education, seminars and courses. MU Extension's Fire and Rescue Training Institute, Law Enforcement Training Institute, and Community Emergency Management Program provide education and technical assistance to individuals and families, local governments, businesses, schools and organizations in preparing and responding to natural and man-made disasters. MU Extension information is available face to face or at your fingertips. And the "Ask An Expert" feature is your personal link to the university's vast body of knowledge.